services offered & pricing. You will find links for this information under each service provider on the Directory. Many businesses book right online! We do. However, we can’t guarantee we will have availability for a walk-in appointment and therefore highly recommend scheduling appointments beforehand. ​-How much does it cost to rent a salon suite? Phenix West Denver offers competitive rental rates in the Denver metro area, prices vary depending on size of suite & what is available. Rental rates include free WIFI & POS app, all utilities, and complimentary laundry. Our prices are geared toward helping individuals start out & thrive. You are responsible for obtaining all necessary business licenses & paying those fees as well as your inventory & personal furnishings. Costs vary depending on how much you want to invest. We can help you with cost effective ways to get set up. -Am I ready to start my own salon? We realize starting your own business can be overwhelming & scary. We offer a month to month lease commitment to give you a real shot at success while not feeling trapped. 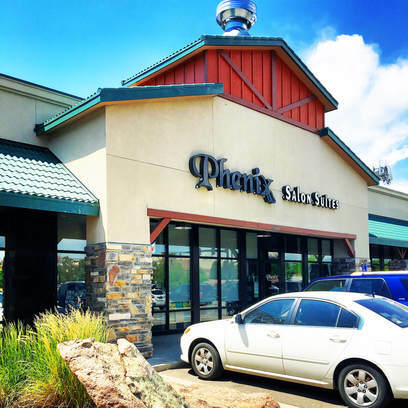 Phenix West Denver has a super supportive community of like-minded entrepreneurs who are quick to offer business advice & help each other out. -Will my clients follow me & is this location easy to find? The first things we hear from your clients on their first visit are, “Wow, this place is beautiful.” & “I’m so proud of her.” Located right off of I-70 & Kipling, we are easy to find. We can guarantee your clients' first visit to your new salon will wow them. They’ll be excited to come back. If you provide good customer service, your clients will want to follow you. There are many ways to ensure your clients will know how to find you and we can provide a list of ideas to get you started. -What is the difference between renting a chair in a salon & renting my own private suite? There are some distinct differences between a chair rental & suite rental. When you rent a suite with us, you are your own boss. You are in control of your schedule. You work any day or night, at any time, & as often as you like. You create the space of your dreams. You design your own brand & decorate your space however you like. In your environment you enjoy a private space for you & your clients while still having access to a supportive community of like-minded entrepreneurs. You use your own techniques and products, offer your own services, and charge your own prices. Your clients belong to you. You’re not building loyalty to a salon, you’re building your own business. Did we mention the cost to you is similar and often the same as many chair rentals?! See our suites, ask about our move-in special. Find out how your dream can become a reality. It just might change your life.